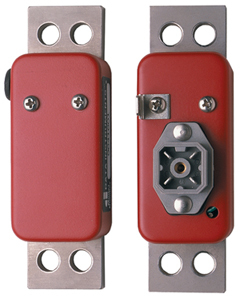 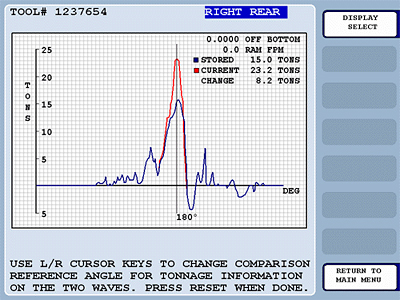 Advanced through-the-stroke monitor displays and stores tonnage waveform profiles for each tool. 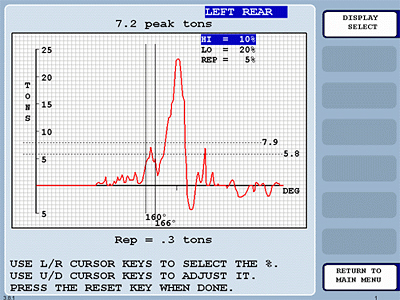 WaveFormPAC monitors the tonnage waveform profiles during each press stroke and stops the press if variations exceed preset limits. When paired with our ShopFloorConnect Machine Monitoring Software, the WaveFormPAC data can be stored on the server for later comparison and reporting. 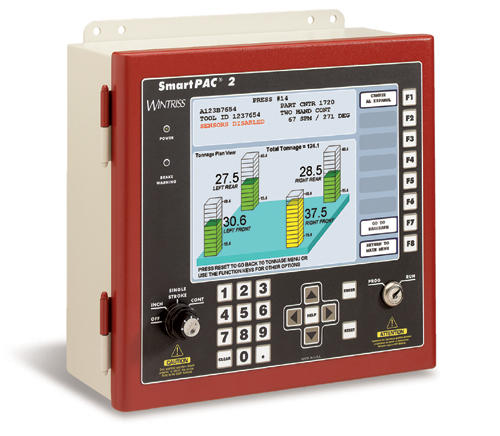 For the ultimate in on-the-spot setup verification, the WaveFormPAC allows you to store a benchmark waveform for each die, and compare it to the current signature right on the SmartPAC 2's screen! 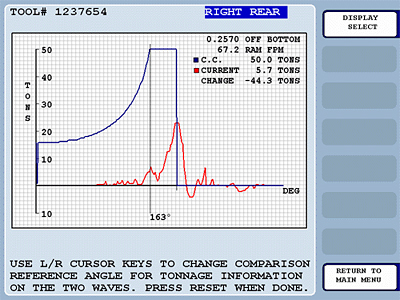 To ensure that you're not exceeding the off-bottom load capabilities of your press, the WaveFormPAC allows you to do an on-screen comparison of your actual tonnage signature against the maximum tonnage curve for the press.